"Keep Calm And Carry Amethyst Crystal Gemstones"-Known For Their Therapeutic Healing Power! Currently, there’s a huge purge toward using alternative medicine for people, especially when dealing with emotional issues, such as high levels of anxiety, stress and just needing to get the body grounded and in tune with nature. The amethyst gemstone has been one of the highly sought-after crystals in history known for its energy healing powers for the body, and Chakra balancing. The idea of using a gemstone for healing seems a bit controversial, but try to have an open mind and investigate the positive energy they can emit. Out of all the ‘Feng shui’ healing stones, the amethyst gemstone remains one of the most noted for its magical capabilities. Place a stone inside your pillow at night to help get some good ZZZ’s as amethyst helps with several sleeping disorders. To endure a safe journey when traveling, place a handful of amethyst crystals in your vehicle, they make great travel companions. 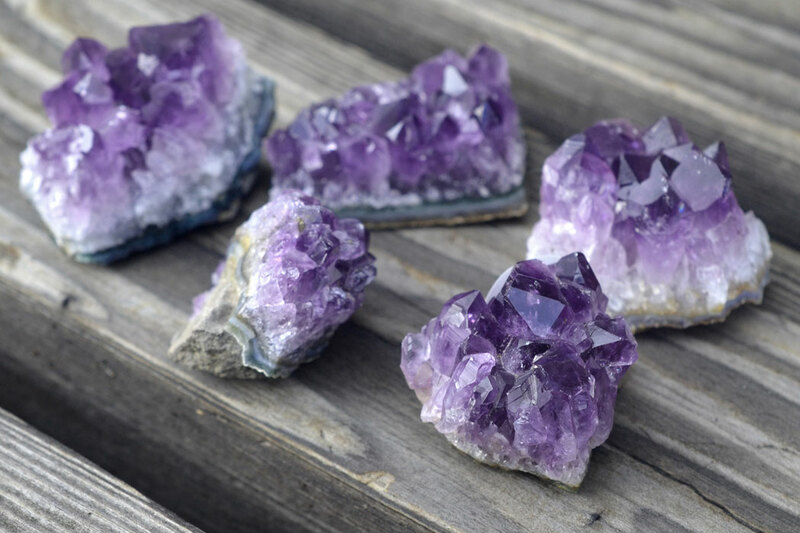 Place some tumbled and polished amethyst nuggets in the corners of your office or home. 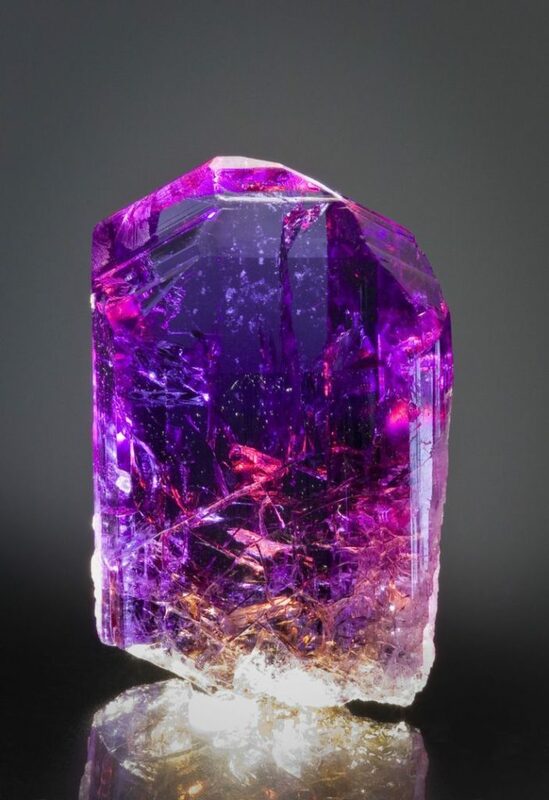 Amethyst is great to have around where tensions and excessive emotions can run high and people have trouble communicating their emotions in a calm manner. 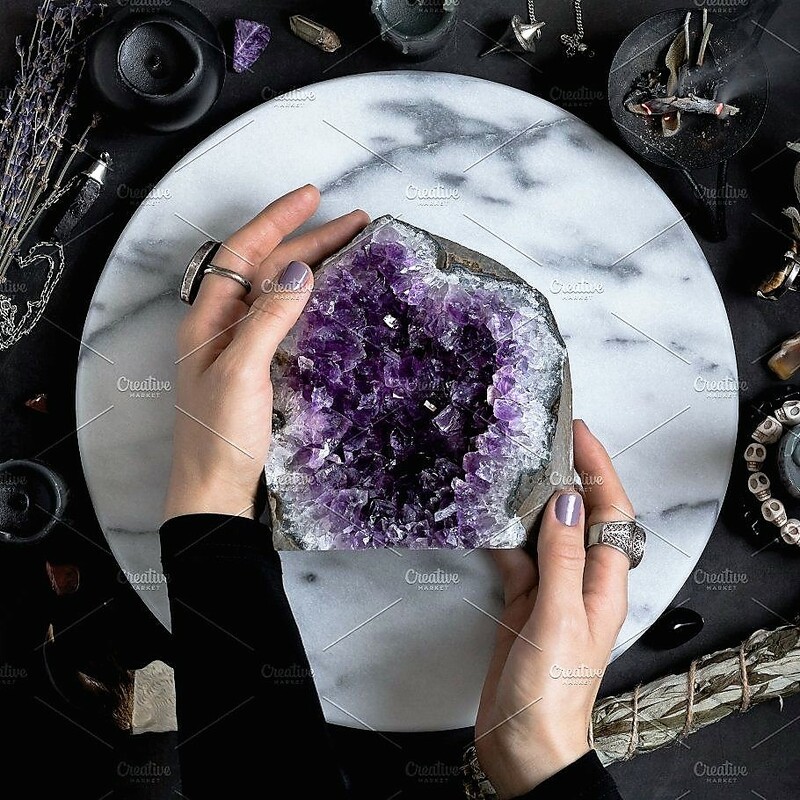 The crystals will protect and purify your space and energy, for negativity; add higher energy to the room, and smooth the path to a more meditative state by cleaning the mind of unnecessary clutter. Amethyst is the official birthstone for February and the birthstone for the zodiac sign of Pisces. Additionally, the amethyst gemstone is used for the 4th, 6th and 17th wedding anniversaries. 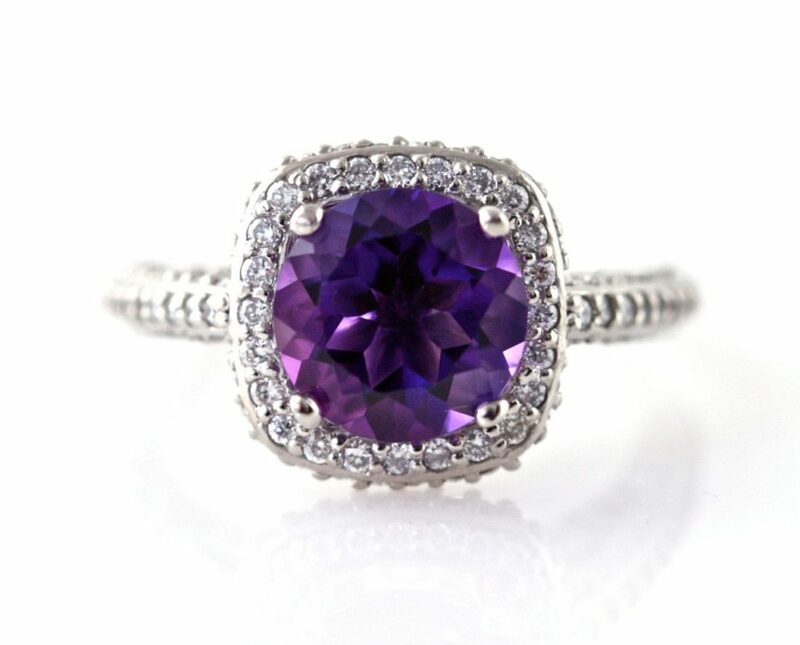 Purple Amethyst is a semiprecious stone sought-after by royalty for thousands of years. 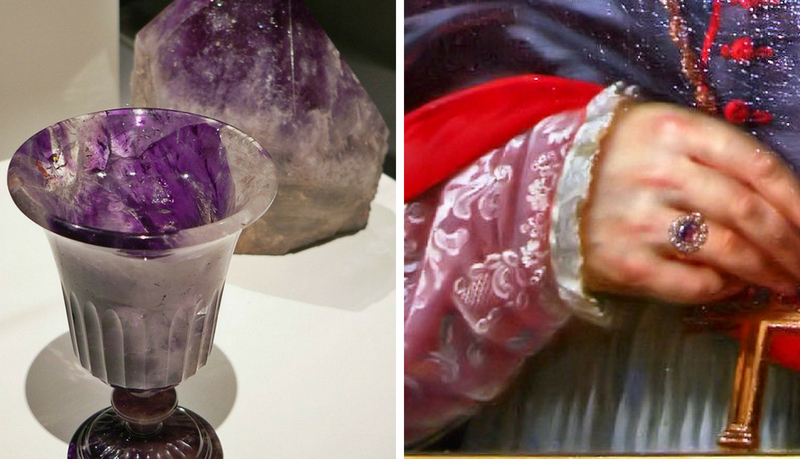 Its purple colored crystals may come from the presence of trace amounts of manganese or iron. The top-quality amethyst stones are deep medium purple with shimmery rays of rosé wine. Other shades include lavender, deep purple, lilac, indigo, and mauve. The amethyst stone so important that Romans and the Greeks would use goblets inlaid with amethyst to prevent intoxication when serving guests wine, Catholic bishops wear an amethyst ring to symbolize priestly dignity, Jewish priests would place a stone in their identity breastplates to symbolize spiritual powers, and Christian crusaders attaching amethyst to their rosaries for magical protection. Amethysts can literally be found all over the world, with some of the most precious specimens found in Russia, Greece, Italy, the Middle East, South Americ and Northern Africa. It has been highly-prized throughout the ages for its exquisite beauty and legendary healing powers of the body. Today, most amethyst gemstones used for making jewelry, are heat-treated to produce a deeper shade of purple that won’t fade over time. Amethyst can strengthen our adrenal glands, reproductive organs, and the heart. The crystals can work in strengthening the immune system and help to obtain a speedy recovery from a severe illness. Scientific research indicates that exposure to amethyst crystals “far-infrared radiation” may increase antioxidant activity within certain foods; promote repair mechanisms found in skin tissue. It aids in inhibiting bacterial growth by holding back the actions of particular growth-promoting enzymes. The negative ions found in amethyst (but not harmful), actually are essential for promoting our health. The ions appear to attract toxic particles and remove them from the body and promote cell regeneration. Amethyst stones can enhance physical vitality after exposure to radiation, chemotherapy, or pharmaceutical treatments. Other attributes include positive dreams, peace, love, courage, intelligence, happiness, and the ability to lift your spirits, meditate and get in touch with your inner self. It can stimulate, soothe and calm the mind; and stabilize mental disorders. Amethyst stones can guard against drunkenness and help detox the body and help overcome alcohol addiction. Moreover, the amethyst is said to help cure headaches, dissolve blood clots in the veins, hearing and eye disorders (improve your eyesight by gently gazing into an amethyst orb), and other body pains. A totally beautiful and remarkable gemstone! 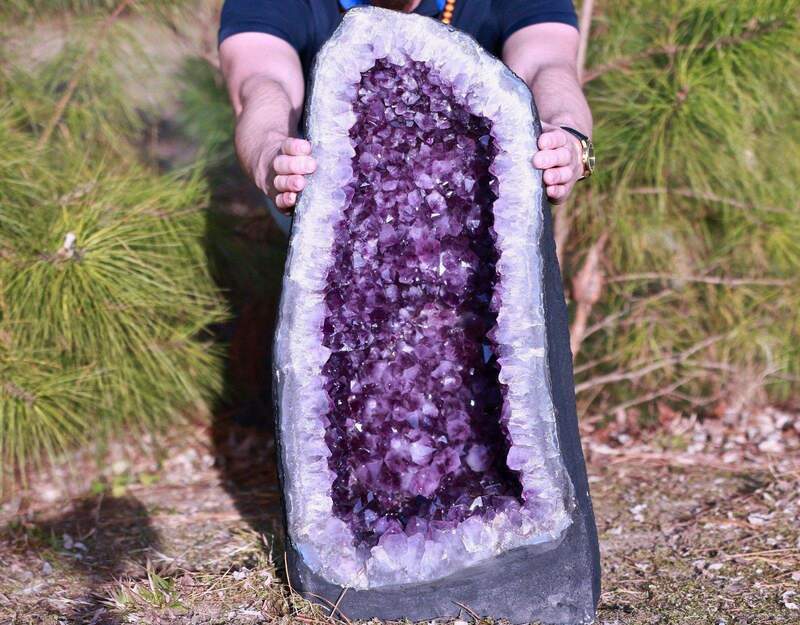 Where Can I Find an Amethyst Crystal? 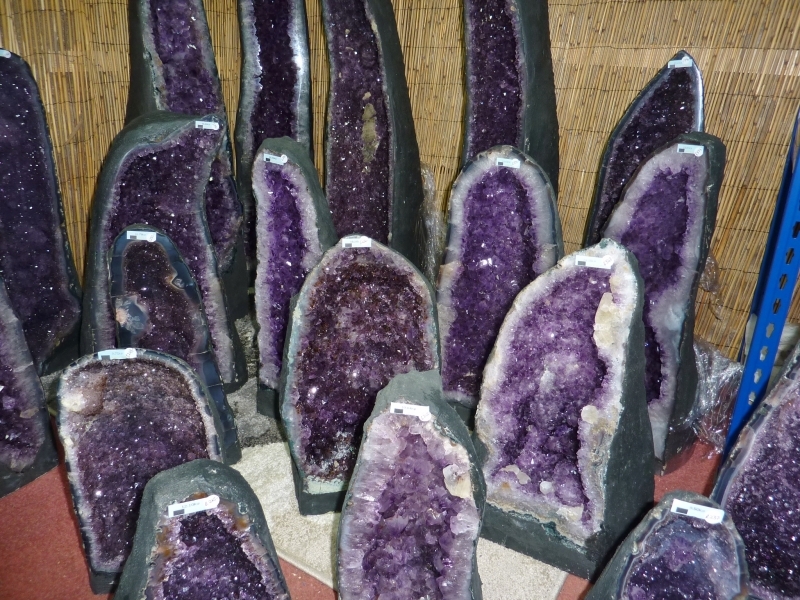 Purchase authentic amethyst (not colored amethyst glass, or laboratory-made quartz crystals) online, at any “new age” gift store, or any rock and mineral shop. 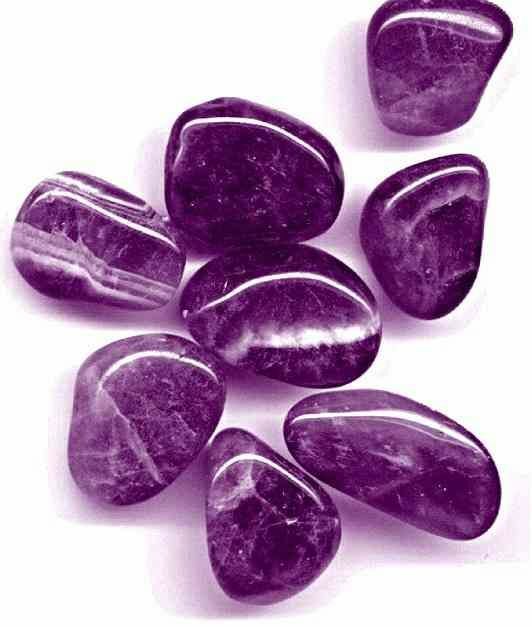 Keep in mind: The best and most powerful amethyst are those with clarity and have the deepest purple hues. These also will be the most expensive. Be careful, as laboratories can grow most quartz crystals today. Tip: To relax and increase awareness, hold a cluster of amethyst crystals in your left hand when mediating to pull energy into the body. 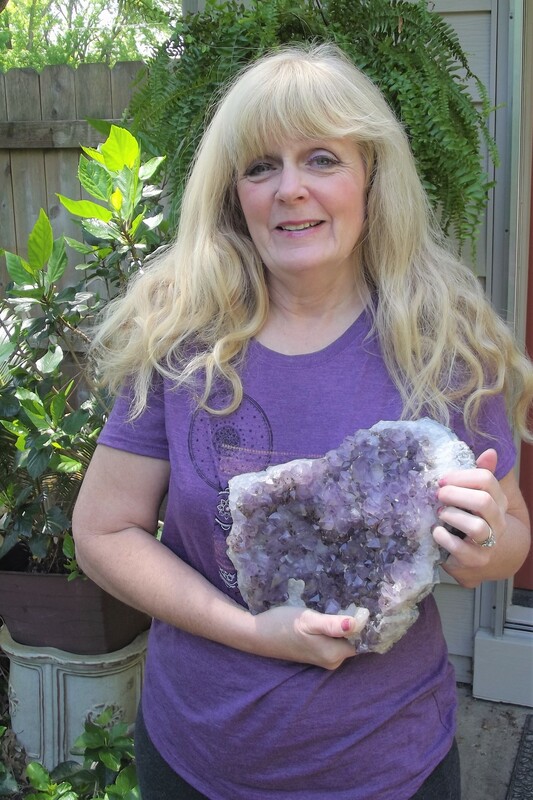 “Me” Patty Penke, holding my amethyst crystal geode, alternative body healing treasure.